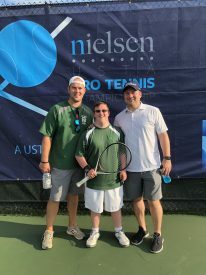 Stefan Xidas, Special Olympics Illinois athlete, and dedicated Cubs fan pursues his dream of singing at Wrigley Field with help from two lifelong friends. On Monday, September 10, Stefan Xidas’s dream came true. 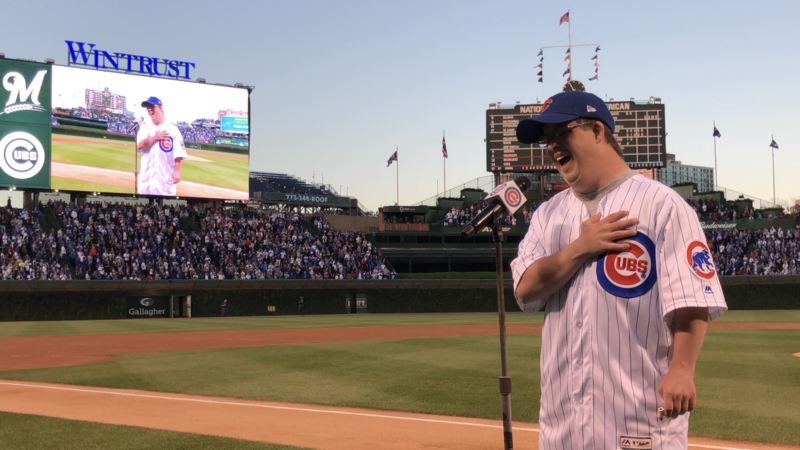 Stefan challenged Cubs Chairman, Tom Ricketts to allow him to sing the National Anthem at a game if he raised funds in support of Special Olympics Illinois. 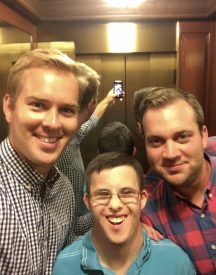 After continuous efforts, Tom Ricketts allowed Stefan to sing at a game, and the GoFundMe campaign took off – raising over $18,000 for Special Olympics Illinois. The Chicago Cubs matched the donation, bringing the total amount raised to over $37,000 for the organization. Stefan has been involved in Special Olympics for the past 15 years. He enjoys playing tennis and has competed in singles for all 15 years of involvement. Stefan’s singing career began when he was 8 years old. Music was fundamental in Stefan’s childhood and has continued to have a strong influence on his life. The interest in singing sparked early on by Stefan’s neighbor and local voice teacher, Patty Lupo. She decided Stefan should learn how to sing the national anthem from a young age. She believed that if he could sing that song, he could sing anything. Performance after performance Stefan needed less of his voice coach’s help; he eventually grew to sing the song completely on his own. From singing at local little league games to Major League Baseball games, Stefan got very good at singing in front of a crowd. So good that he was asked to sing the national anthem at U.S. Cellular Field before a White Sox game in 2005. Stefan’s next goal was to sing at a Cubs game on Wrigley Field, and he did just that. 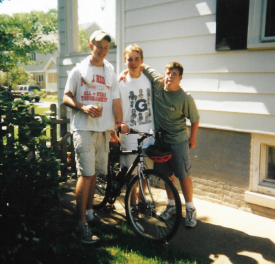 Alongside Stefan, were his two lifelong friends, Tommy Molitor and John Rucinski. The boys helped Stefan create and organize the campaign. Their friendship began in kindergarten. Tom and John befriended Stefan and they clicked. “They have blessed Stefan beyond belief, but the friendship was reciprocal,” Stan Xidas, Stefan’s father explained. The campaign hit home with those who know Stefan, and even some who did not. Creating this campaign was so important to Tom, to be able to unify people through the love of sport, as Special Olympics does. At the game, there was a group of about 100 friends and family members watching from the upper deck at Wrigley Field. Cubs fan and Special Olympics Illinois athlete, Stefan Xidas belted out the National Anthem before the game on Monday, September 10, 2018. “It’s been the best time I’ve ever had in my whole life,” Stefan added. Stefan never missed a note, as he stood proudly representing his country, his family, and Special Olympics. “Words cannot describe the crowd’s response when they heard Stefan sing, it was such a unifying moment,” Stan Xidas said.